The company Automatic, managing a popular blog service WordPress.com, on Friday announced the receipt of an investment of $ 50 million from the private fund Tiger Global. Experts say that the investments are in the wake of its recent acquisitions of $ 1.1 billion Tumblr blogging service on the part of Yahoo. Edition of Fortune, telling about investing in Automatic, notes that operators are now blogging services in Western markets are very highly regarded, and when investing Automatic was also estimated at 1.1 billion dollars. In addition to managing blog service, Automatic also oversees the development blog platform WordPress, which is the most popular mechanism for the creation of blogs on the Internet. 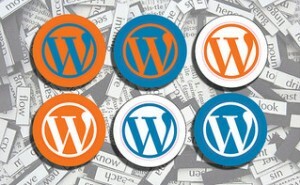 On the basis of operating system WordPress blogs CNN, Techcrunch, Wall Street Journal and others. It is known that the investments were made through the purchase of shares from existing shareholders Automatic, including the company’s management and its first employees. Matt Myullenveg, founder of WordPress, says that the investraund allowed on the one hand to raise funds for development, and on the other – possible to obtain monetary compensation to managers and programmers behind the WordPress. “The company has received the necessary funding, and now we can focus on creating the necessary and convenient product, and not to think about the daily earnings,” – says Myullenveg. Analysts said that investors’ interest in blogs in general is clear: it generates more and more content that is online now actively quoted and monetized. As for personally In WordPress, now here are their blogs every day about 50 million people, compared to 4 million people five years ago. Over the same period, the audience Tumblr has grown to 100 million people, but a large part of the audience WordPress – it is more valuable to advertisers audience 24-35 years vs. 18-24 years for Tumblr. Earlier in the service WordPress funds also invested such funds as Polaris Partners, True Ventures and the publishing house of The New York Times.